The Basalt Shooting Range sign covered in slurry from drops on the Lake Christine Fire. The Basalt Town Council passed a multi-faceted resolution Tuesday night on the shooting range that had people on both sides of the issue leaving the room in disgust. The board voted 5-0 to urge Colorado Parks and Wildlife to try to relocate the facility, but it also acknowledged the need to reopen the range as soon as possible for hunting season — as long as safety requirements are met. Some Basalt residents felt the council made too many concessions. Jim Benson left the room muttering “business as usual” when the board’s direction became clear. He wanted a more forceful statement by the town to convince CPW to move the gun range for safety reasons. But CPW officials also left the meeting early. CPW Northwest Regional Manager J.T. Romatzke excused himself from the meeting and told the council the town and state agency could have addressed many of the issues they deliberated “over a cup of coffee.” Before the deliberations, he urged the council to stay in the dialogue rather than pass a resolution. 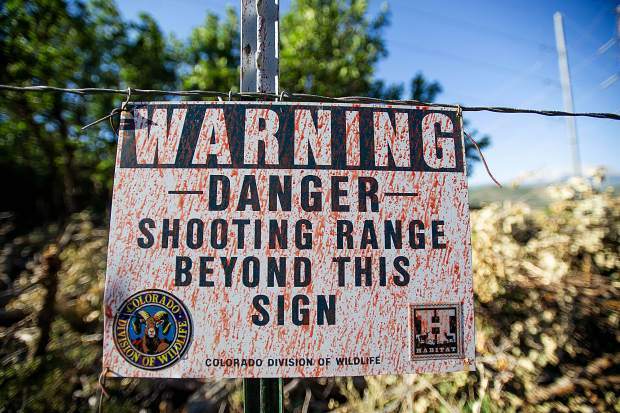 The council has no authority to dictate rules at the range, which is located in the Basalt State Wildlife Area. 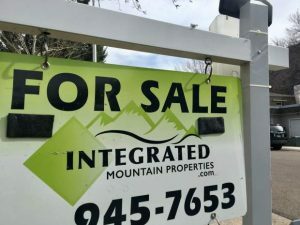 Colorado Parks and Wildlife calls the shots, but the council wanted to weigh in on a public process the state agency is undertaking. The council’s resolution looks at both the short term and long term. In the short term, it advised CPW to open the range from 9 a.m. to 7 p.m. Tuesday through Friday and 9 a.m. to 5 p.m. on Saturdays. The board wants the facility closed on Sundays and Mondays for respite from noise. 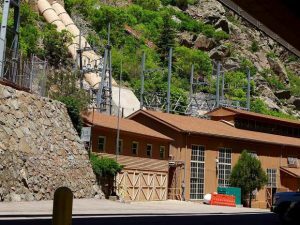 The shooting range has been closed since the Lake Christine Fire broke out there July 3. A couple was firing prohibited tracer ammunition, which set brush on fire alongside the rifle range. The fire scorched 12,588 acres, destroyed three homes and has cost an estimated $17 million to fight so far. The couple is facing felony arson charges. Shooting enthusiasts urged the council during a public hearing at Town Hall during a public hearing at Town Hall not to punish law-abiding range users for the “dumb acts” of two people. Other residents said the traumatic incident was proof the gun range needs to be moved further away from downtown Basalt. The council sought middle ground — seeking relocation but recognizing that will take time. Council members said they are convinced there is a safety issue that is best served by getting the range open prior to big game season so hunters can sight their guns. Hunters are going to hunt, said Councilman Ryan Slack, and they will sight their guns on unsupervised public lands if the range isn’t open. “This is a ‘right now’ thing,” he said. The council’s support for reopening this summer came with caveats. They want the shooting range reopened only if CPW commits to staffing the facility with a uniformed range officer and mitigation for fire risk. “Supervision is absolutely the key piece,” said Gary Tennenbaum, acting as mayor pro tem while Mayor Jacque Whitsitt is on vacation. The council’s resolution called on CPW to have a uniformed staff member of the agency on duty during hours of operation. They felt a volunteer couldn’t effectively enforce regulations. 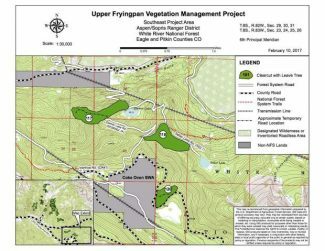 Another key provision of the resolution was advise to close the shooting range whenever stage 2 fire restrictions are put in place by counties and federal land management agencies in the Roaring Fork Valley, which act together. Currently, stage 2 restrictions don’t prohibit use of firearms at the gun range or on public lands. But the council felt closing the range during severe fire danger was important. “I think that will make people more comfortable,” Tennenbaum said. The resolution urges CPW to take steps to make the facility more fireproof and better equipped to battle a fire if one breaks out. Councilman Bill Infante, who has played a lead role for the town on the issue, said CPW must determine if the threat of lead poisoning from 70-some years of use at the shooting range poses a real risk or the issue can be “put to bed.” The town government has an obligation to make sure its residents aren’t being exposed to lead poisoning, he said. The resolution also urges continued work to reduce noise from the range. Whitsitt and Councilwoman Jennifer Riffle weren’t able to attend the meeting. Tennenbaum, Slack, Infante and council members Auden Schendler and Katie Schroyer supported the resolution.